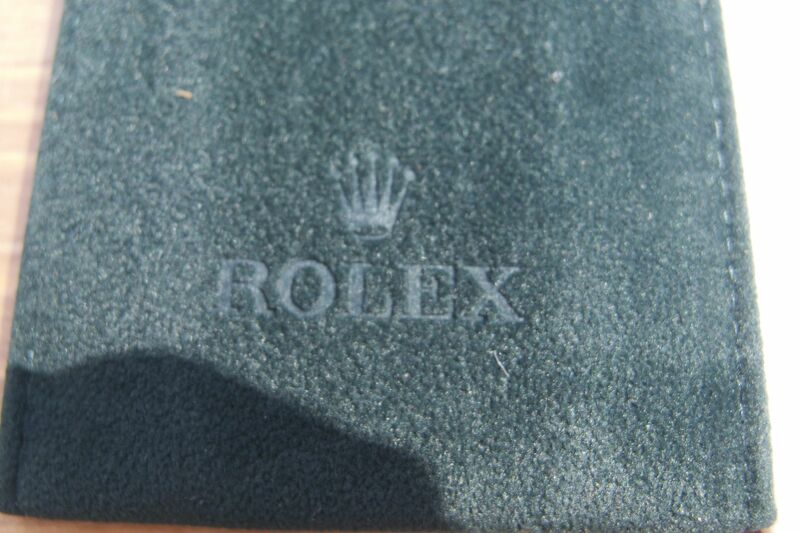 – Rolex factory shipping container for sale. 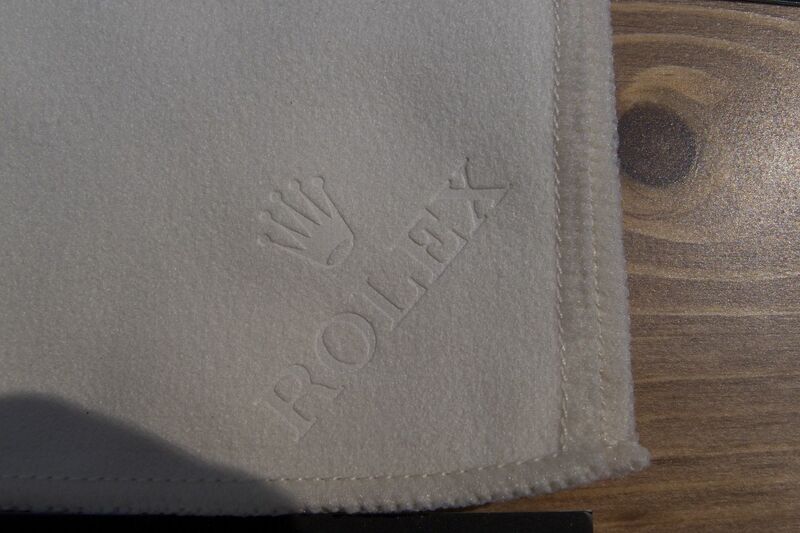 Used by Rolex to ship watches to authorized dealers. 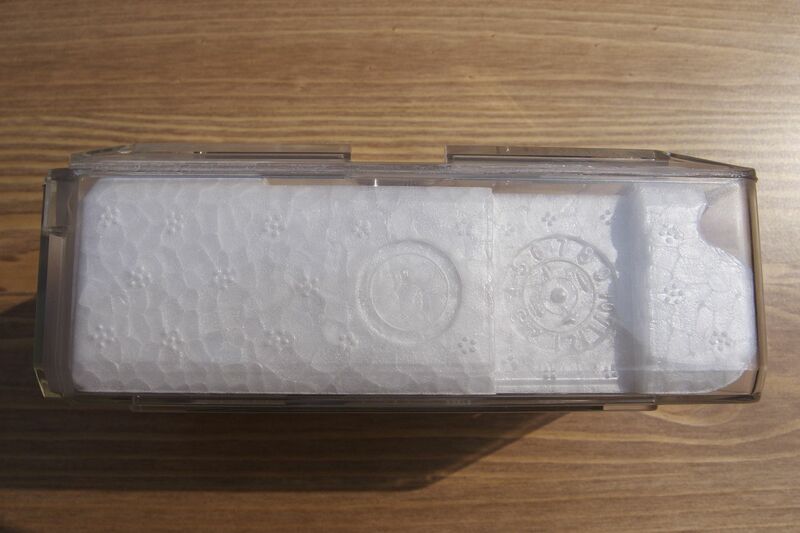 $39.95 delivered (GMT in photograph not included). 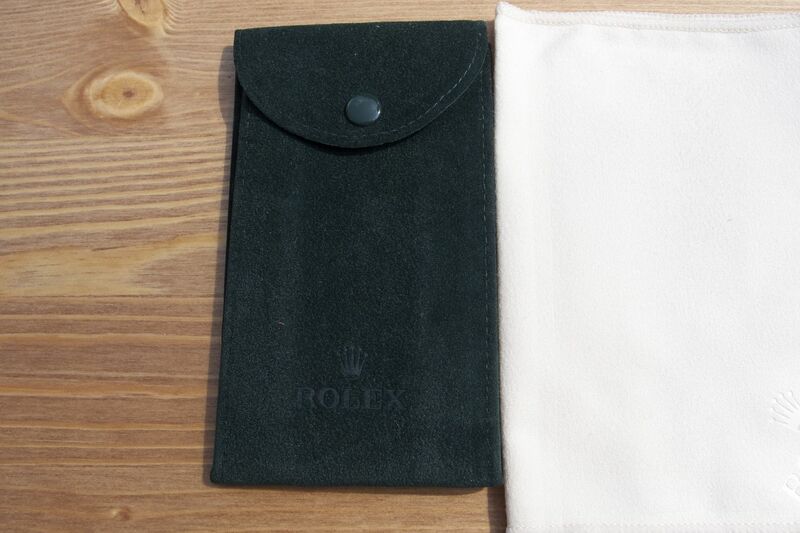 Rolex green velvet service pouch set for sale. 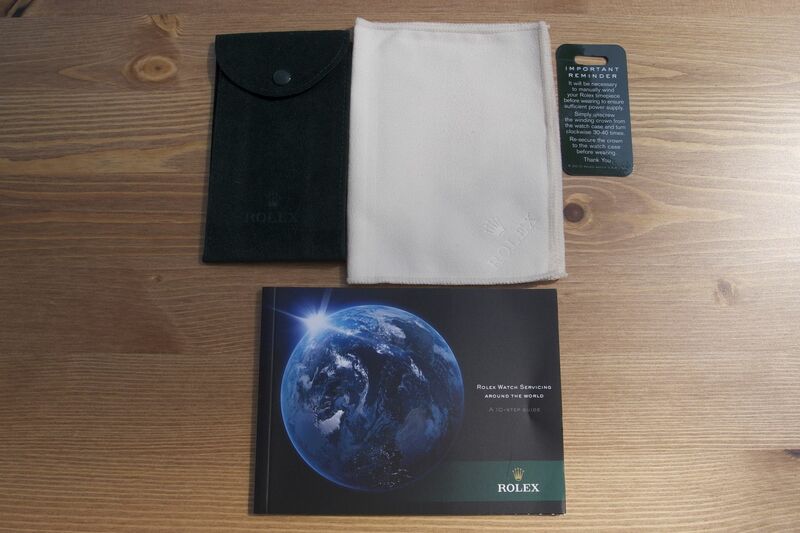 Includes green Rolex embossed velvet pouch, cream color Rolex embossed microfiber cloth, instruction tag, and Rolex manual. $49.95 delivered. 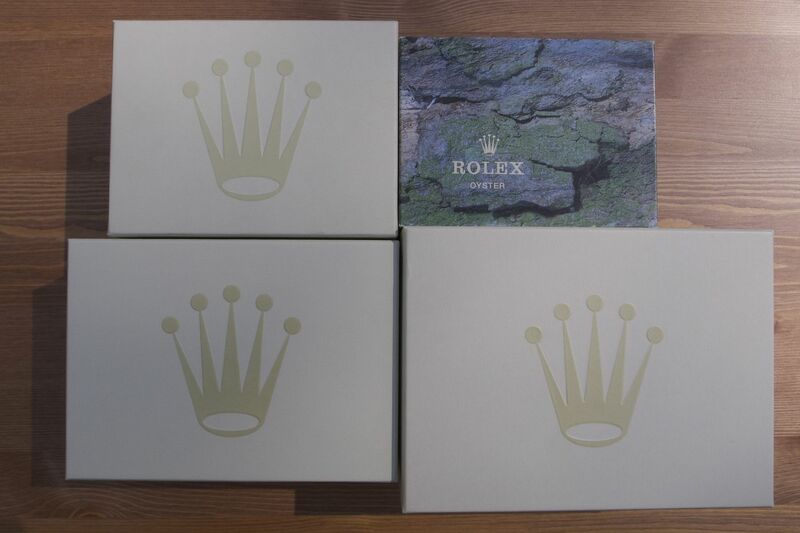 Rolex green wave box sets for sale. 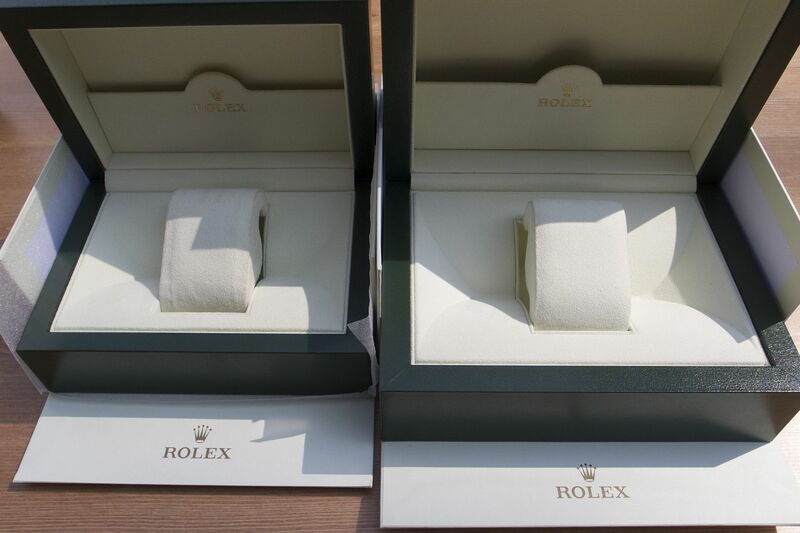 For modern post-2003 production Rolex watches, and the boxes come in three sizes. 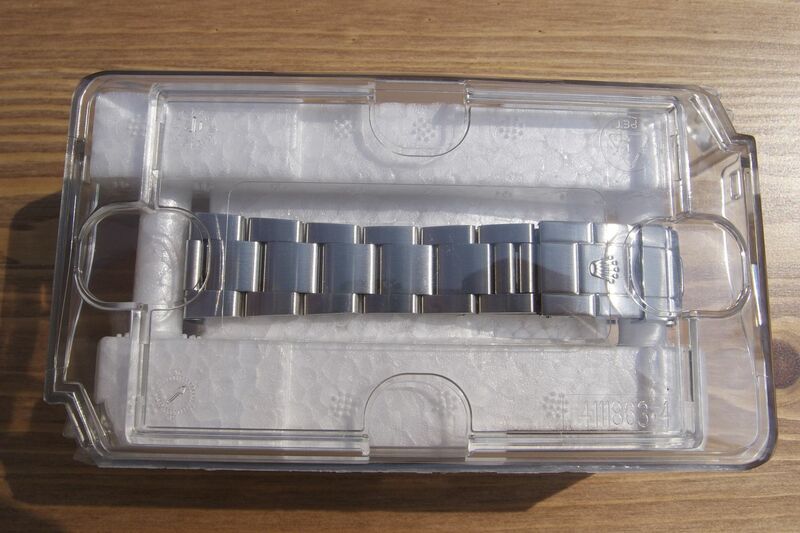 Small fits stainless steel models, $255 delivered. Medium fits two-tone steel and gold models, $295 delivered. 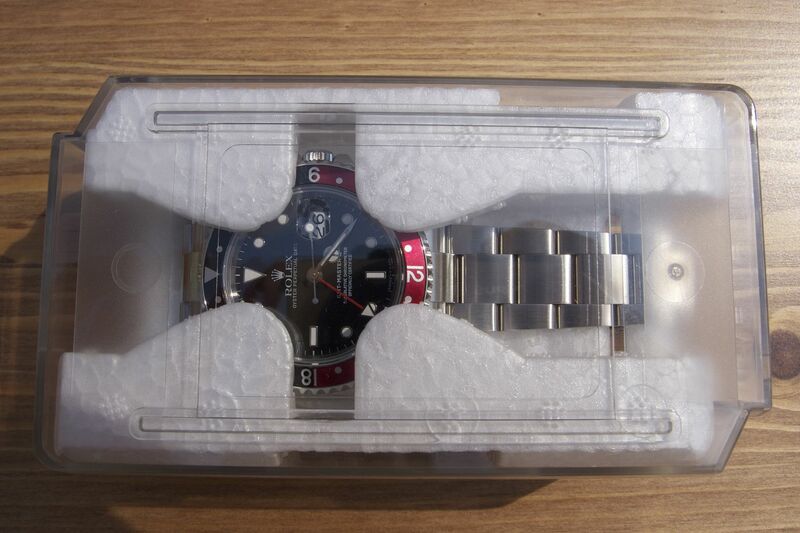 Large fits all solid gold models, and Deepsea; $335 delivered. 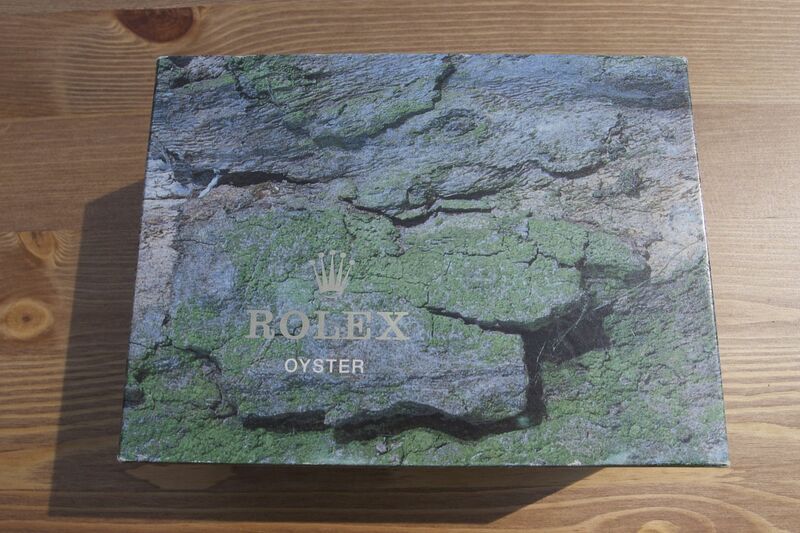 Rolex vintage box set for sale. 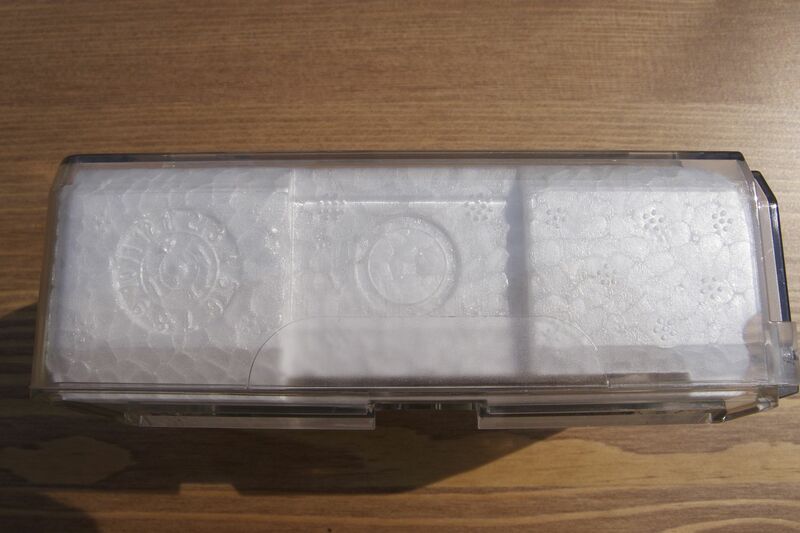 Includes outter box, inner box, pillow, and pillow cover. $225 delivered.